Many elections confront challenges in meeting international standards of electoral integrity, including in established democracies such as the US, UK and Canada. 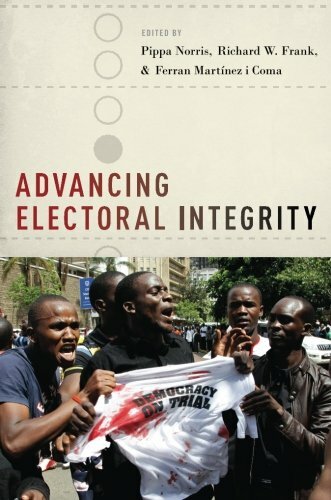 This edited book, based on new research presented at a Harvard workshop in June 2013, brings together a wide range of leading international experts and emerging voices to understand problems of electoral integrity in countries around the world. Chapters evaluate the standards, methods, and evidence for evaluating when elections fail; analyze the central role of election management bodies in promoting integrity; consider the impact of malpractices on political legitimacy, and identify effective policy interventions designed to advance integrity. Authors draw upon a wide range of cases in established democracies such as Britain and the United States, newer democracies in Central and Latin America, and diverse regimes in Africa and the Middle East. International experts bring new concepts, theories and evidence to illuminate issues of electoral integrity. It is designed to present cutting-edge research in an accessible manner.